Is your car spying on you? Yes. 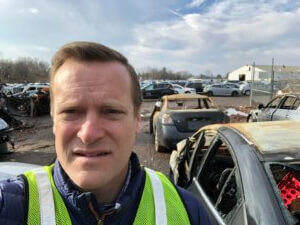 As you drive down the road whether you know it or not, it is likely that there is a little Black Box called an Event Data Recorder that is watching you while you drive and is ready to save data that can be retrieved after a crash to help reconstruct the accident. 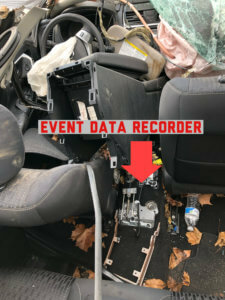 Event Data Recorders (EDR’s) have been widely deployed in new vehicles for over a decade and have been mandatory for passenger vehicles since 2012. So, a majority of the cars on the road nowadays have them. EDR’s are similar to Flight Data Recorders in airplanes. Unlike the Black Box in an airplane, EDR’s in cars and trucks typically don’t record audio of what is happening in the vehicle. Instead, EDR’s record various data points regarding the operation of the vehicle in the time period just before the Event/Crash. Captured data includes speed, acceleration, braking, seat belt usage and airbag deployment. 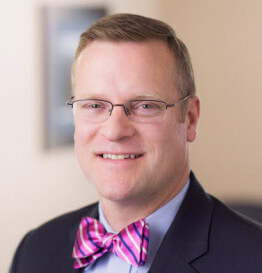 Having the information from the EDR can be helpful to lawyers in Car and Truck Accident cases, so experts are often hired after serious accidents to download and preserve the data for use in the insurance claim process or in Court. Recently, I had a case where the driver of a car lost control, left the roadway and crashed. I represented the passenger who was seriously injured. 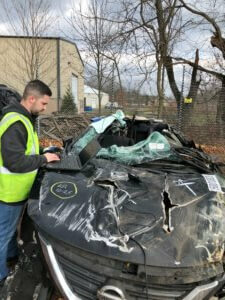 In that case the driver denied that he was at fault saying that his airbag improperly deployed Beore the crash rather than at the point of impact. In order to investigate his defense, we hired an expert to retrieve the data from the EDR. The EDR kept data regarding the timing of airbag deployment and disproved his claim. The EDR confirmed that the airbag deployed properly just milliseconds After the crash. 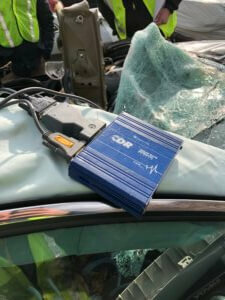 Black Box/Event Data Recorder technology can be very useful in reconstructing what happened in car accidents and will become very common evidence used in Court by lawyers in serious Car and Truck Accident cases.